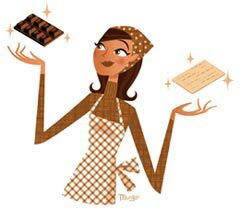 Mels Box of Chocolates: I want to email YOU!!! I want to email YOU!!! Well first let me start with a positive...I LOVE, LOVE, LOVE having people comment on my posts. I know there has been a lot of talk lately about how much comments mean for bloggers and I am no exception. There is nothing better than opening my email and seeing all the comments that people have left for me. Personally, I like to read every single comment so I have Blogger set to email me every time a comment is left. This way I know immediately what people are talking about or thinking about concerning my blog or post. It is encouraging to read that others are enjoying my blog because while I really, truly enjoy blogging just for my own sanity, a little extrinsic reward now and then doesn't hurt. Which brings me to my venting topic...having an email address associated with your blogger profile. In order to display proper blogging etiquette I would like the opportunity to respond to your comment or at least say a quick thanks for leaving one on my post. However, often when I receive some comments in my inbox I cannot reply as I see this message noreply-comment@blogger.com. If I see this, I do try to go visit your profile page and first see if you listed an email there and if not I may go visit your blog to see if I can contact you through there. Who are we kidding though...sometimes my kids are fighting, the dishes overflowing, and laundry piling up so do I really have the time to do this each and every time...Uh, NO! Not to mention usually once I trek over to your place I find that I just have to leave a comment thanking you on one of your own posts. Which you may think is good because then you also got a comment, but really do you want me commenting on your cool post about something I wrote on mine?? No, you want all the attention for yourself! Now for some of you perhaps you don't have an email address associated with your profile because you just didn't think to do it. Or perhaps you don't have a clue how to do it? Well I am here to help. I find that most of the bloggers that do not have an email attached are from Blogger so here is what you need to do if you use blogger and have not set up your email. Scroll to "Privacy" and click where it says "Show my email address"
Of course you want to make sure to scroll down to "Identity" and make sure you have an email address listed. What? You are afraid of listing the email address you use for all your "real" friends and family? May I suggest that you create a special email address for all of your "virtual" friends? Then you are able to secure your privacy, but still allow me to come by and say thanks or continue a conversation. So what do you think? Will you give it a try? I would so greatly appreciate it!!! That concludes my venting...Getting off the soapbox as I type!! I have sometimes typed a reply and sent it before I realized that it was a no-reply...effort wasted! Sometimes I reply, but more often I hop over to their profile and then on to their blog as I like to check out new blogs. I agree it is frustrating to see the blog traffic thanks to my friend stat counter and site meter...very annoying..my two cents and oh what about blog giveaway time when the "blogger profile" is set to Private.. I feel your pain, I truly do. I have my email in my sidebar, it just has be converted. I get enough spam, so I don't have it readily available, you have to search. And I am one who will go to a profile and find a blog, too. I wonder how many actually do that. I am a comments junkie, so I try to leave them. But honestly, at some point, you have to be No Guilt about it if you can't. I've just recently started emailing to thank people for their lovely comments, and it's such a nice way to get to know new people. Blogger annoys me though because I have the choice to use the blogger id and make people click through to see my url, or use the name/url option but without my email attached. I usually use the latter, but I'm thinking now that it'd be friendlier to use the blogger id. What do you think of my conundrum, Mel? Hey thanks, I never knew that! I did what you said, and lo and behold I did not have my e-mail as showing - I changed that quickly! Thanks for the tip on how to add your e-mail address for replies... I wish everybody knew that! I have the same frustration! I like to respond to my comments, but so often I can't.